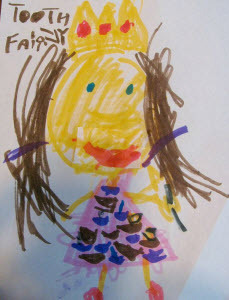 The Tooth Fairy is for Real – Just ask any 5 Year Old! There is no shortage of childhood fantasy figures that parents are expected to keep up on. Santa Claus, Easter Bunny and yes the Tooth Fairy! So lets look into the history of the Tooth Fairy and see when and who decided that children needed just one more character! The tooth fairy, as Americans know her, is actually not that old. The first written mention of her appeared in 1927 in a children’s playlet written by Esther Arnold Watkins. Since then she has been the motherly creature of good will; a tiny thing that flies around sprinkling fairy dust, collecting the teeth of tiny tots and leaving them a reward in return! It is not surprising that many cultures around the world have very interesting thoughts on the importance of a child’s first teeth and what is to be done as they come out to be replaced with the adult teeth. There are written records from the Eddas, of the Norse people that had a tradition called tand-fe meaning tooth fee that paid the child for the loss of the first tooth. During the middle ages in England, children were instructed to burn their baby teeth to keep from having any hardships in the afterlife. In medieval Europe if witches were to get a hold of your baby teeth, it would give them power over you. Just about every culture has some type of superstition or tale attached to the loss of baby teeth, so with America being a melting pot of so many cultures it is not surprising that some of the traditions have influenced us directly. True story, in the 1970’s a Chicago DJ happened to mention the tooth fairy on the air and the American Dental Association was flooded with calls wanting more information about her! She has become so associated with children that there are studies done to help parents with a guideline on what the going rate is for a tooth fairy visit! 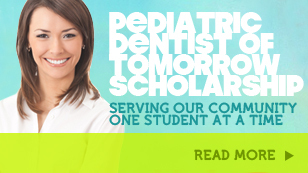 Currently according to a study done by Visa, Inc the average amount paid to a child for a tooth is $3.70! So for all that are new to the parenting of little ones, there is help out there. Websites full of ideas on custom made tooth fairy pillows, notes and all sorts of ideas to make your little ones experience of losing baby teeth a positive one! 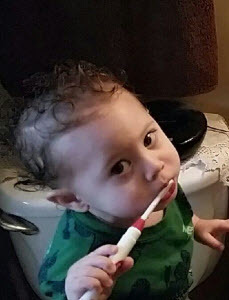 Brushing Teeth – When Do I Start My Baby? As we all know having a healthy baby is a daily job! It actually starts long before that Bundle of Joy is placed in your arms! Pregnancy is a critical period in the development of a healthy baby and so prenatal care and taking good care of yourself are very important. Once that little bundle is here, it is now your job to parent! Wow, what a huge responsibility; one that includes countless tasks, including caring for the newborn’s baby gums and teeth. But they are only baby teeth and will start falling out by the time they start school, right? Wrong; baby teeth play an important role in the development of speech, eating, holding appropriate space for the adult teeth and then most importantly, that goofy little smile that lightens even the most frazzled days! What is cuter that those first two bottom teeth and the sparkle they add to that little giggle! Ok, down to business: when do I start brushing my baby’s teeth? NOW! Even though there are no teeth, the mouth can harbor bacteria, so most pediatricians will tell new moms to use a soft cloth or gauze around their finger to gently cleanse the gums twice a day. Sounds crazy? Well I can tell you that should you ever have the need for a NICU (neonatal intensive care unit), the nurses do this as part of their routine and loving care. As any parent knows, children are very observant and delight in copying mom or dad in all they do! By the time those first teeth come in, help the baby to brush his little pearls when you do. They love to do what you do! There is no need for tooth paste, but if he/she insists, use non-fluoride and only a tiny amount! Until about age 3 to 5 (average) you will need to help with brushing ALL those little teeth, but allow them to do as much as they can with fun prompts and encouragement. Some babies take a bottle or a sippy cup to get to sleep until two or even three years old; it is important to understand that putting anything except water in that bottle is not a good choice. Some pediatricians are OK with breast milk or formula in a bottle for the very young, under 12 months. Milk and juices have sugars that will aid in the development of cavities! The saddest face to look at is a wee one with a tooth ache! The development of good habits is the start of a happy and healthy smile! As any parent knows, coming up with silly games to take advantage of each teaching moment is at times a challenge. With dental care, Smile Reef can help you with some fun ways to keep that smile a happy one!